The tripartite model of Clark and Watson (1981) suggests that the oft-observed covariation between anxiety and depression can best be understood by examining three related yet distinct constructs: negative affectivity, positive affectivity, and elevated physiological arousal. In the present study, 510 boys and girls in the 4th, 7th, and 10th grades completed the Children's Depression Inventory and the Revised Children's Manifest Anxiety Scale. Confirmatory factor analyses were conducted to determine the goodness of fit of single-factor (i.e., negative affectivity), two-factor (i.e., anxiety and depression), and three-factor models (i.e., negative affectivity, positive affectivity, and physiological arousal). Analyses were conducted by examining each of the models in the whole sample first and then separately for boys and girls and for fourth, seventh, and tenth grade youths. Results failed to support the tripartite theory; rather, the findings supported a two-factor model in all cases. These factors represented the general constructs of anxiety and depression, and these factors remained significantly interrelated. 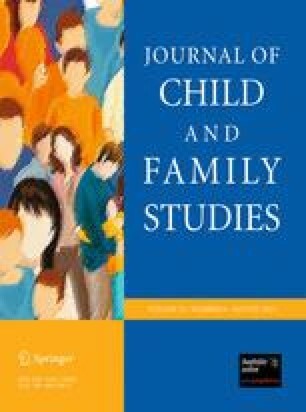 Consistent with previous findings, the strength of these relations was stronger for boys than girls and for children than adolescents.